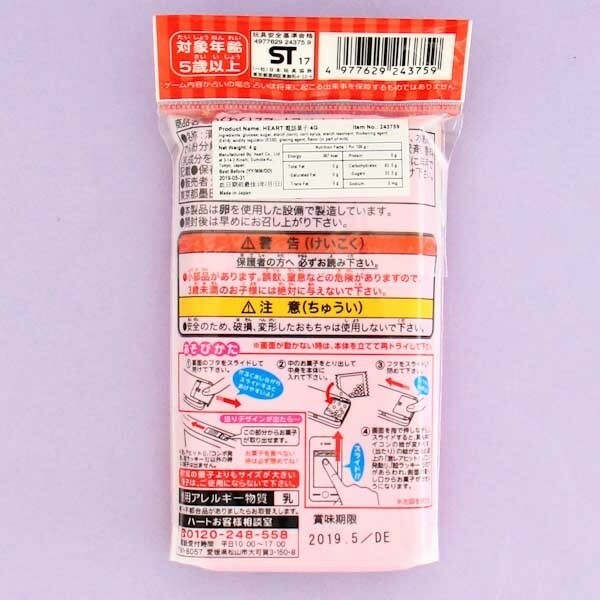 The famous Japanese candy kit manufacturer Heart is once again here to surprise you with a fun candy set! 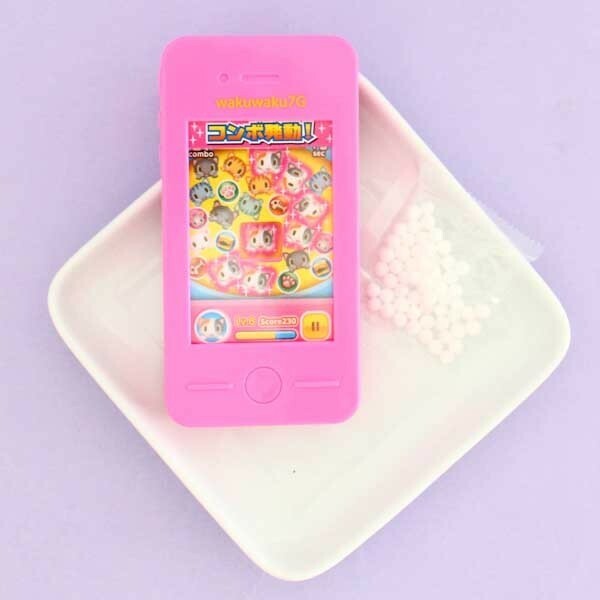 This time they have made a super cute Waku Waku smartphone toy which serves as a candy machine! 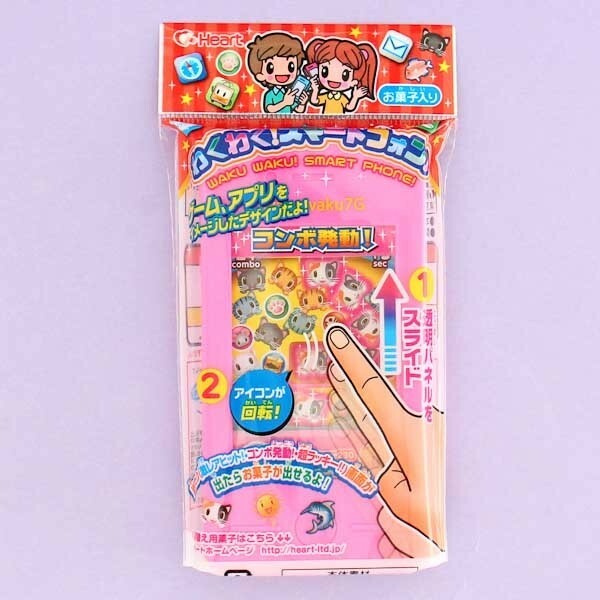 Open the back of the phone, insert the small candy balls, and clear the fun cat game on the screen to get the delicious mints! Suites for both children and adults, and is the perfect toy to for all gaming lovers and Heart fans! The package contains the plastic phone and the candy mints. 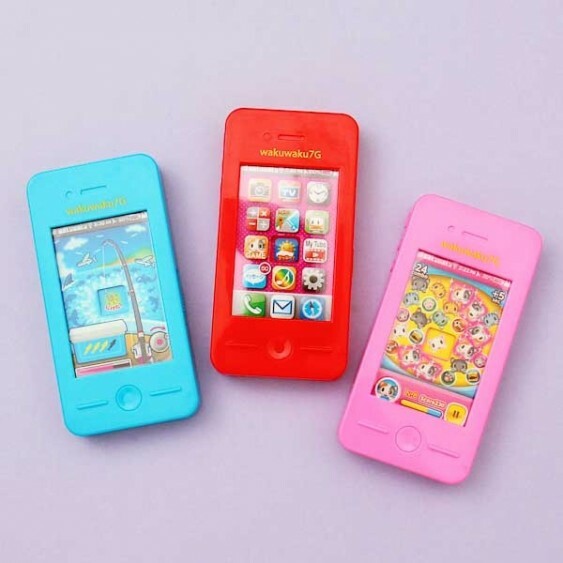 You will never know which phone you will get when ordering! Add a bit of whimsiness to your daily life! Play the game to get the candy mints!